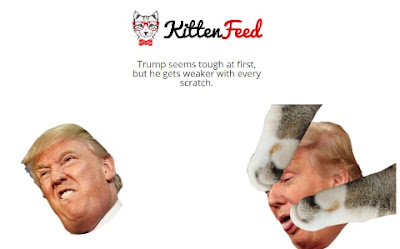 Donald Trump's lawyers are reportedly going after a 17-year-old who created a website where users click on the president’s face to punch him with tiny kitten paws. The teenager, named only as Lucy, initially designed TrumpScratch.com as a way to practise her coding skills. But after a few weeks, she received a cease and desist letter from the president’s general counsel in New York, she told the New York Observer. Taking the advice of her family lawyer, she changed the name of the site to KittenFeed.com earlier this month. “But after changing, they still came at me,” she told the newspaper. “It’s so sad that his administration is focused more on being liked, burying real news and taking down sites like mine as they supposedly make him look bad,” she said. The newly named website had received only about 3,000 visitors before the report of the legal action emerged. On Tuesday alone, that number had soared by more than 50,000. She said she and her lawyers have not responded to the latest letter and are waiting to see what happens. Mr Trump’s lawyers have yet to respond to comment. The US president is known at hitting back at any slight, such as reports about the size of his inaugural crowd. 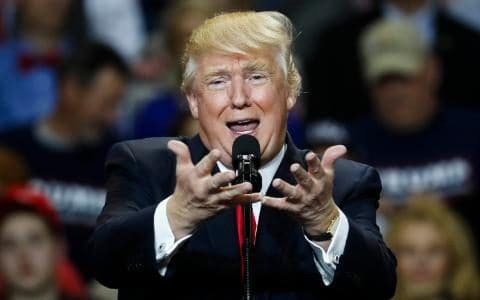 “He’s deeply, deeply insecure about how he’s perceived in the world, about whether or not he’s competent and deserves what he’s gotten,” Tim O’Brien, author of “TrumpNation”, told the New York Times.